Samsung has already began running on the galaxy a7 and it's miles referred to as the 2018 version of the device which is going to debut in the end of this year or this new collection goes inside the beginning of next year. 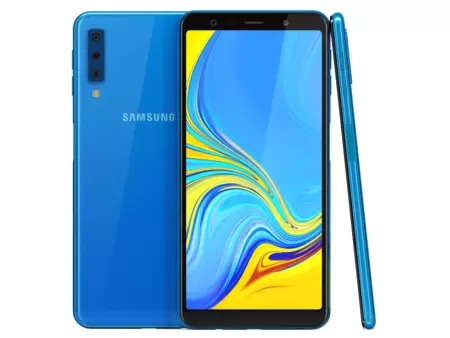 recently its successor released in market and now samsung galaxy a7 2018 regarded on the gfxbench and it found out a number of its specification and it revealed that the approaching phone might be excessive end device where rate of samsung's galaxy a7 2018 will be extra then 50k so plainly if you are planning to purchase this clever smartphone then begin savings today. Disclaimer : Samsung Galaxy A7 2018 price in Pakistan is updated on daily basis and rate/price for Samsung Galaxy A7 2018 is valid for all cities of Pakistan included Islamabad, Rawalpindi, Lahore, Karachi, Faisalabad, Peshawar, Sialkot, Quetta etc. Samsung Galaxy A7 2018 price depends on many factors thats include the price of dollors, manufacturar price and import cost and duties etc. Our team entered specs from diffrent resources and not responsible for any typo error in specs for Samsung Galaxy A7 2018, please report any such error in bug report panel for Samsung Galaxy A7 2018. Samsung Galaxy A7 2018 price in Pakistan.